Premiere episode "Counter Flood" is listed first. 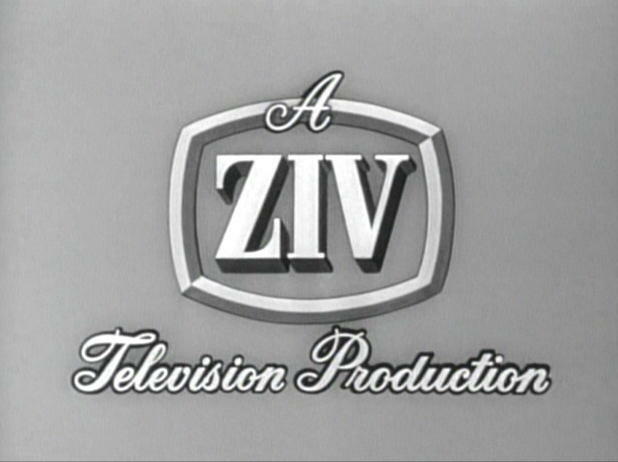 (c) 1956 ZIV Television Programs, Inc.
hurdle once. I got the chance to help you." About a midshipman who finally demonstrates his real potential during a crisis situation. 01-Jun-1956 the debut of the series would begin in January of 1957. [--] "Blinding Light" - see "Honor Bright"
An arrogant cadet thinks he can win the Academy boxing championship. David White .......... Bronte Sr.
Two brothers enter Annapolis and the one most likely to succeed has the toughest time. Men of Annapolis: "The Bronte Brothers"
Friends try to prevent a careless midshipman from being expelled. him, so his friends band together and watch over him. Men of Annapolis: "Explosion Ahead"
Midshipman Erickson's romance is threatened by the girl's ex-boyfriend who taunts him into a public fight. The careless action of one midshipman in a live-ammunition gun maneuver endangers a cruiser. The middies promote a romance between shy Irwin Brown and a model. Men of Annapolis "The Jinx"
Men of Annapolis: "Obstacle Course"
Second Classman Bud deliberately disobeys an order during a patrol. Men of Annapolis : "Rescue At Sea"
Men of Annapolis: "Rescue At Sea"
Men of Annapolis: "Sea Versus Air"
Men of Annapolis: "The Star"
Fog closes in on middies in a patrol boat, marooning them on a sand bar. Men of Annapolis; ZIV Release No. 1001; ODAT: 30Dec56; OREG: LP50576. Men of Annapolis; ZIV Release No. 1002; ODAT: 13Jan57; OREG: LP50588. Men of Annapolis; ZIV Release No. 1003; ODAT: 27Jan57; OREG: LP50589. Men of Annapolis; ZIV Release No. 1004; ODAT: 04Feb57; OREG: LP50590. Men of Annapolis; ZIV Release No. 1005; ODAT: 11Feb57; OREG: LP50591. Men of Annapolis; ZIV Release No. 1006; ODAT: 18Feb57; OREG: LP50592. Men of Annapolis; ZIV Release No. 1007; ODAT: 25Feb57; OREG: LP50593. Men of Annapolis; ZIV Release No. 1008; ODAT: 04Mar57; OREG: LP50594. Men of Annapolis; ZIV Release No. 1009; ODAT: 11Mar57; OREG: LP50595. Men of Annapolis; ZIV Release No. 1010; ODAT: 18Mar57; OREG: LP50596. Men of Annapolis; ZIV Release No. 1011; ODAT: 25Mar57; OREG: LP50631. Men of Annapolis; ZIV Release No. 1012; ODAT: 01Apr57; OREG: LP50597. Men of Annapolis; ZIV Release No. 1013; ODAT: 08Apr57; OREG: LP50632. Men of Annapolis; ZIV Release No. 1014; ODAT: 15Apr57; OREG: LP50633. Men of Annapolis; ZIV Release No. 1015; ODAT: 22Apr57; OREG: LP50634. Men of Annapolis; ZIV Release No. 1016; ODAT: 29Apr57; OREG: LP50635. Men of Annapolis; ZIV Release No. 1017; ODAT: 06May57; OREG: LP50636. Men of Annapolis; ZIV Release No. 1018; ODAT: 13May57; OREG: LP50637. Men of Annapolis; ZIV Release No. 1019; ODAT: 20May57; OREG: LP50638. Men of Annapolis; ZIV Release No. 1020; ODAT: 27May57; OREG: LP50639. Men of Annapolis; ZIV Release No. 1021; ODAT: 03Jun57; OREG: LP50640. Men of Annapolis; ZIV Release No. 1022; ODAT: 10Jun57; OREG: LP50641. Men of Annapolis; ZIV Release No. 1023; ODAT: 17Jun57; OREG: LP50642. Men of Annapolis; ZIV Release No. 1024; ODAT: 24Jun57; OREG: LP50643. Men of Annapolis; ZIV Release No. 1025; ODAT: 01Jul57; OREG: LP50644. Men of Annapolis; ZIV Release No. 1026; ODAT: 08Jul57; OREG: LP50645. Men of Annapolis; ZIV Release No. 1027; ODAT: 15Jul57; OREG: LP50646. Men of Annapolis; ZIV Release No. 1028; ODAT: 22Jul57; OREG: LP50647. Men of Annapolis; ZIV Release No. 1029; ODAT: 29Jul57; OREG: LP50648. Men of Annapolis; ZIV Release No. 1030; ODAT: 05Aug57; OREG: LP50649. Men of Annapolis; ZIV Release No. 1031; ODAT: 12Aug57; OREG: LP50650. Men of Annapolis; ZIV Release No. 1032; ODAT: 19Aug57; OREG: LP50651. Men of Annapolis; ZIV Release No. 1033; ODAT: 26Aug57; OREG: LP50652. Men of Annapolis; ZIV Release No. 1034; ODAT: 02Sep57; OREG: LP50653. Men of Annapolis; ZIV Release No. 1035; ODAT: 09Sep57; OREG: LP50654. Men of Annapolis; ZIV Release No. 1036; ODAT: 16Sep57; OREG: LP50655. Men of Annapolis; ZIV Release No. 1037; ODAT: 23Sep57; OREG: LP50656. Men of Annapolis; ZIV Release No. 1038; ODAT: 30Sep57; OREG: LP50658. Men of Annapolis; ZIV Release No. 1039; ODAT: 08Oct57; OREG: LP50657.